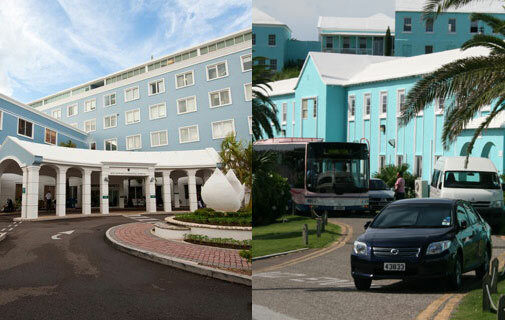 Following a recommendation of the SAGE report, the Bermuda Hospitals Board will consider consolidating the two major health service facilities on the island onto one site. The SAGE Commission’s report was made public last month. It says there are duplicated services provided at King Edward VII Memorial Hospital (KEMH) and at Mid-Atlantic Wellness Institute (MAWI), since the facilities are operated on different sites. Substantial savings would be generated, according to the report, from operating both facilities on one site. While the report found duplication of clinical service between the two sites, the board denies there is any service overlap. Through an e-mail, a BHB spokeswoman said KEMH delivers in-patient and outpatient hospital services for medical conditions and residential services for long term care clients in its continuing care unit. MWI, on the other hand, provides outpatient community outreach, residential and acute care services for adults and children with mental health conditions, learning disabilities and substance abuse issues. Any savings from consolidating the two locations to one site, according to BHB Chairman Jonathan Brewin, would be gained through efficiencies made in support and administrative services and through a sharing of joint infrastructure. The utility plant built as part of the ongoing acute care wing construction project at KEMH could support another building, he said. The board, Mr Brewin said in a written statement, is “working hard to ensure it maximizes efficiencies,” although it’s “much too early” to know whether the recommendation is viable. It’s also unclear what effect such a project would have on the workforce at KEMH and MAWI. MAWI needs about $40 million worth of renovations, according to the SAGE report. That site includes 23 inpatient acute care beds, 58 long term and rehab beds and eight substance abuse beds, according to the board’s web site. KEMH currently includes 232 inpatient acute care beds, 121 continuing care unit beds and nine hospice beds. SAGE also recommends the board review of the costs and savings of building a new building next to the new Acute Care Wing that is under construction. The new building should offer services currently provided by MAWI and a Continuing Care Unit for the elderly. To partially fund such a building, the SAGE report suggests the board consider monetizing the old MAWI site. The acute care wing project has entered its final phase. It is expected to be open to the public in 2014.